G3 stands for "Glorifying God Globally" and is the name for our Missions Department here at FBC. We firmly believe in Jesus' call in Mark 16:15 to "Go into all the world and preach the good news to all creation" (NIV). We believe that this call from Jesus demands that we bring the "good news" to the lost in our own neighborhood as well as to those around the world. This is why FBC supports missionaries both in the U.S. and all over the globe. Please familiarize yourself with each of them listed below, or if you would like more information about G3 and how to get involved, please contact them at the email link below. HFL Homes — Equipping Christian couples In Russia to care for abandoned children. Orphan Care — Caring for orphans in their time of need with an emphasis on building long-term relationships. Many children are abandoned and need parents to love them. It is our goal to provide home settings with only a few children per home, avoiding the coldness of an institutionalized setting that is associated with Russian orphanages. We find Christian couples who are willing to care for the abused, discarded, innocent little ones of Far East Russia. Zhanna Markina oversees ministry activities in Russia, while Joye and Jeff Ballard work on behalf of the ministry from the U.S. The Bordea family, Lucian and Carmen and their four children, Ionut, Alex, Ana, and Iosif, have had the opportunity of being involved in ministry in Fundulea, Florica, and Ojasca. Lucian has served as a deacon at Hope Baptist Church for many years, and in 2010 God put on their hearts to devote more time to ministry. They have since worked with summer camp ministries and have seen the Lord grow a new fellowship in the neighboring town of Florica through evangelistic outreaches there. They appreciate all of the encouragement and support given to them while serving the Lord in Romania. Serving with OTAN to reach Asian nationals. The Biblical Theological Seminary (BTS) in Pehlrimov, Czech Republic, was founded in 2007 and is directed by Vlada Donat, who saw that there were fewer pastors than pulpits (36) in his home country. Compounding this was the fact that many of the current pastors were about to retire, leaving pulpits empty and hopes of planting new churches dismal. He also saw that potential pastors were leaving the Czech because the Czech seminaries embraced liberal theology. Since 2007 the seminary has seen graduates fill pulpits, become full-time church workers, plant churches, and be involved in ministries throughout the Czech. The seminary has recently added distance learning, has begun youth group meetings in a local coffee house, and has conducted English training for children. God is growing BTS to be used in building His Kingdom in the Czech Republic! Vlada's prayer is that the Lord will bring people to Himself through these training opportunities and outreaches. 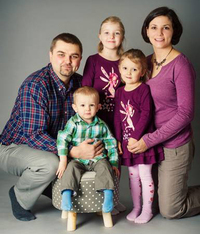 Vlada and his wife, Eliska, have two young children and covet your prayers. Outreach groups from the United States have helped in construction as well as teaching English and sports in local schools. Stan represents His Mansion as Ambassador-at-Large. He does preaching/teaching and working with churches going through internal struggles and pastoral searches. He offers his services as interim pastor for churches between pastors. He also spends time working with families dealing with addiction dysfunction. Serving with OTAN as Director of Women's Ministries in restricted countries. Juan Pablo is the director of the Mission TEC Care Center. He is responsible for the administration and the various programs being done in the Care Center, such as Homework Club, Youth Club, and AWANA Club, among others. Marianela is responsible for the Sponsorship of the Care Center and is involved with AWANA Club, Youth Club, and helping with the education of Juan Joaquin. National Pastor of a church in Bucharest, Romania. Besides meeting in the church on Sundays and Wednesdays, I also try to gather kids every Saturday and share God’s special love and teachings for them. Fridays I am helping with worship time in Valea Argovei or Frasinet, and from time to time I am trying to keep a constant relationship with some young men from Fundulea for mentoring. I pray that God will work greatly in our lives so that others, and you also, will be blessed. Mirek and Olinka Klepacek are ministering to Czech youths at the Word of Life Camp in Cerna Hora, Czech Republic, where Mirek has been since the year 2000. Although a large part of their ministry occurs during the summer camping season, Mirek is active conducting snow camps, as well as leading Bible clubs at various surrounding local churches. Mirek has recently been made the Coordinator of Word of Life Czech Republic, which marks the first time that the overall leadership has been given to a Czech national. He is currently involved in establishing full-time, year-round staff that would minister to surrounding local churches, maintain the camp property for use by local churches, and prepare for the heavy influx of campers during the summer. Young adults at the camp have made hundreds and hundreds of decisions for Christ. 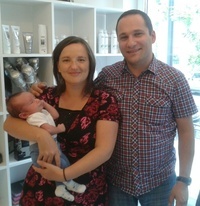 Mirek and Olinka currently have two young children. Mirek covets your prayers for the growing ministry, for his family, and for the souls of those who will be drawn to the Bible clubs and sports tournaments, as well as to the winter and summer camps. Work teams from around the United States help with camp building projects, and teens come each summer for 4-5 weeks to help staff the camping facility. Radek Kolarik has been actively involved in bringing the good news of Jesus Christ to Czech youths through sports ministries, summer camps, and Bible studies since he graduated from high school. In the summer of 2000 he met an American who held a similar calling and had taken a job teaching English in the Moravian village of Kurim. In 2003 they were married and they began an outreach to youths in their garage that met 4-5 times per week (Garaz572). Teens came to the Lord and brought their friends! In 2009 they planted a church in their garage in addition to their youth meetings. Parents as well as local families were drawn there by the Lord as well. In 2011 they moved to an old dance hall where they could minister to their active and growing flock (Krestane Kurim – Christians of Kurim). 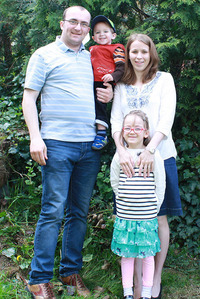 Over the past 4 years God has also blessed Laura and Radek with four children. American teams from Maine as well as Chicago undergird the Kolariks in ministering to local high schools, teaching English, and staffing summer camps. The ministry is flourishing and there is a need for financial support for a part-time worker as well as an American to minister longer-term teaching English in the local schools. Wycliffe Bible Translators has assigned Steve to their premiere partner, SIL International, the world authority on minority languages (all the ones that need Bible Translation). It's hard to imagine that 1,800 of the world's 6,900 languages are still unwritten. But this number is decreasing because of the work of SIL. Since the 1930s SIL has been helping speakers of minority languages use their languages for better lives, especially spiritual lives. SIL discovers, documents, and tracks the world's languages; develops writing systems and dictionaries; and translates materials, including the Bible. Bible translation organizations, aid/development organizations, and ministries of education who need help working in any one of the thousands of minority languages contact SIL to help. Currently SIL is working on over 1,000 projects in 90 countries. 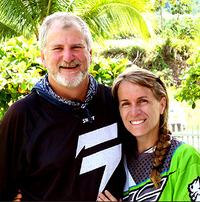 Steve enables all of this by serving on the Global Operations Leadership Team as the head of SIL's Global Technology and Information Services group, enabling the work of more than 12,000 missionaries worldwide. His responsibilities also include shepherding SIL's innovation agenda. Our family has labored to bring the life-changing story of Jesus to the Navajo Nation since 1988. We have been instrumental in helping to strengthen and establish Baptist churches on the reservation. 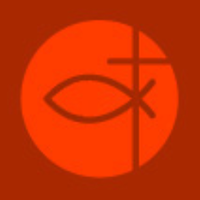 The Lord has also allowed us to start two brand new churches, Mesa View Baptist in Black Mesa, AZ, and Diné Baptist Church in the Phoenix Valley (http://www.dine-ministries.com/). Our desire is to continue to be used of the Lord to strengthen and plant churches among the Navajo People! Senegal: In the effort to make disciples among the nations (Wolof, the different Pulaar groups, Serer, and Diola), we are working in urban areas (Thies and Dakar) using “The Holy Word” radio broadcast, English lessons, micro-entrepreneur forums, and other forms of economic development to build relationships with Muslims to find those whom God is calling to Himself, to plant contextualized churches, and to train and empower bi-vocational national Christian leaders. Republic of Congo: We partner with the EECC Church Association, the Dongou Training Center, and the Institute Biblique Missionaire to train leaders for the Congolese church and to reach the Bayaka Pygmy nation. A Maine family going where most don't go: to the least engaged, least reached, poorest of the poor peoples on the planet, where most often there are no Christians going, no Bible, no access to the Gospel, and no church! We partner with Christian Nations to help plant, nourish, and reproduce church planting movements among unreached people. Connecting American churches with Eastern European churches in a supportive or sister church relationship. Sharon oversees the JAARS Health Services Lab, providing testing for all our overseas missionaries as they come through the center. We serve the Quechua handicapped (more than 5,000 adults and children within a 35-mile radius of Huánuco) and their families in remote villages of the Andes, in Peru, South America. We volunteer with Renacer to help provide vocational training and rehabilitation services which include spiritual care, medical services, and social integration. To support ourselves as we serve alongside Peruvian Christians, we are blessed to do friendship evangelism as we offer motorcycle adventure tours primarily to the international community, as well as mechanical services and lodging to independent motorcyclists. Evangelizing: Sharing the Good News of Jesus Christ through personal one-on-one Bible studies, visitation, small group outreach, and special outreach efforts. 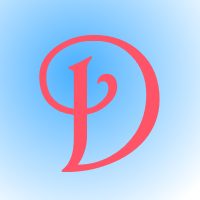 Discipling: Teaching and assisting people in overcoming the captivity of chronic disenfranchisement and dysfunction as evidenced by economic disadvantage, educational disability, spiritual confusion, emotional instability, physical impairment, family disintegration, and social isolation. This requires helping people in practical ways to overcome and keep growing as a disciple of Jesus. Congregationalizing: Baptizing and leading people to a committed, regular life with the local church fellowship. Our mission is to advance God's Kingdom on campus through whole life conversion to Jesus. What this means is that our staff team seeks to partner with students on campuses to have the gospel penetrate every corner of that campus, and then to consider other campuses where there is no current evangelical Christian witness and to start a gospel work there. to grow in leadership where they know how their own gifts and personality can be a part of the advancing gospel work on campus and beyond. The focus of my ministry is now more with our New England staff team. After many years on campuses and supervising staff, I have seen the real need for our staff to have someone who is looking out for their spiritual lives. Their "spiritual formation"—the health, vitality, and growth of their life in Jesus—is what I am focused on. As part of the leadership team for the New England Ministry, I work with them to advance this aspect of our ministry, so our staff can serve students with a genuine, deepening love for Jesus that is full of the Holy Spirit. Pastor of our sister church in Erd, Hungary, a suburb city of Budapest. For over 11 years Pastor Gyuri Varga and his wife, Aniko, have ministered in Erd, Hungary, with the Erdliget Bible Fellowship. They are one of the 5 founder families. The church has grown steadily and currently has over 65 members. They are blessed with more than 40 children and 30 youth, with more than 20 visitors as well. Midweek services occur in several home groups. They outgrew their church building and are searching for God’s leading. Their church has a meaningful ministry in the nearby public school, which gives them many opportunities to share Christ through summer camps, English clubs, and solid rock clubs during the school year, teachers' trainings, counseling, etc. Pastor Varga also leads the Hungarian Baptist Union’s family ministry. Together they hold marriage retreats, seminars, and parents’ clubs all around the country. 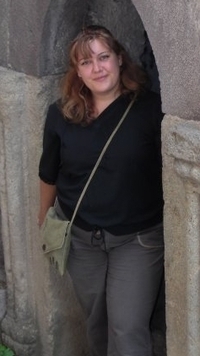 Aniko leads the Hungarian Baptist Union’s women’s ministry. Her team coordinates nationwide trainings, conferences, and prayer days. It is my joy to have been working in Sumy, Ukraine, for the past 6-7 years. I came to Sumy to help develop the camp program for Sumy Grace Camp, which was formerly a communist pioneer camp where atheism was taught. Today the camp serves over 1,000 people a year, helping them to come to know Christ and develop their relationship with Him. The Lord has also blessed me with a variety of other ministries that operate during the school year. I work alongside Ukrainians to minister to children, teens, and young adults through church programs, English evangelism clubs, and women's spiritual encouragement and discipleship. Thank you so much for joining me in the Lord's work here in Ukraine.